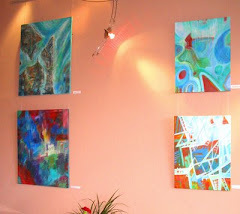 Here are just a few of the paintings I have created this year that are still available. 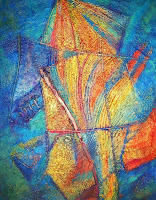 Please email me for any information, or further images if you are interested in purchasing any, I am always happy to answer any questions about my work; thank you for your interest. 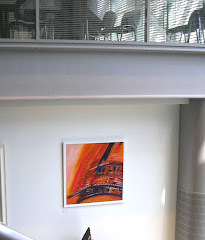 I will be posting my exhibition dates soon for next year soon. hope you enjoy my work and the music! 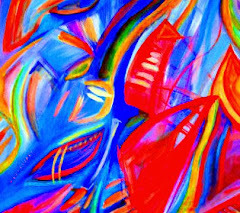 The following works have all been created by Lorraine G Huber in 2007 and are available to purchase, more new abstract paintings will be added soon. 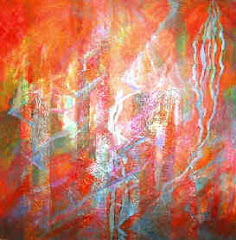 A selection above,show some of Lorraine's new series of textured abstract works inspired by the changes in nature, around her, woods, rivers, the sea, natural rock formations. drawings and bold textural works available to purchase. 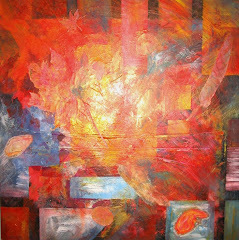 Lorraine G Huber is an established Scottish artist, working in an abstract style. 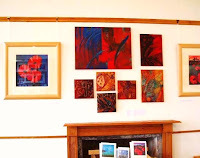 Her original mixed media abstract paintings are in collections worldwide.She regularly exhibits her work in both solo and group exhibitions throughout the UK. Trained in Fine Arts at Eastbourne College, and later theology. She now concentrates on her work as an artist. 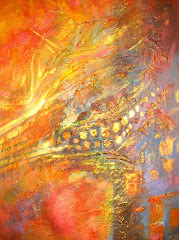 Her striking enigmatic works can be found in more than 9 countries worldwide.Visit the artist’s own online Gallery www.abstractloft.com Artist Statement :: Most of my work is non objective Abstract art: the nature of the work is dependent largely on colour, form and composition. 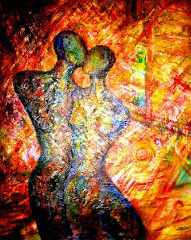 I like to experiment using different media, and supports, but find I use acrylics and mixed media materials most frequently as it suits my spontaneous working method.My abstract paintings, often express the most complex emotions using the simplest of forms.I choose to paint in a non-objective way. For me, mystery is an important element in what I am trying to convey. I like the fact that my works may sometimes be difficult to fathom.